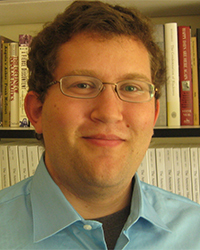 Jeremy C. Young teaches courses in the history of the modern United States and continental Europe. A specialist in the late nineteenth and early twentieth century United States, his research interests include the history of emotions, social movements, and political culture. He is the author of The Age of Charisma: Leaders, Followers, and Emotions in American Society, 1870-1940 (Cambridge University Press, 2017) and has published articles in the Journal of Social History and the Journal of the Gilded Age and Progressive Era. He also serves as Membership Secretary for the Society for Historians of the Gilded Age and Progressive Era (SHGAPE).